If my nine year old self could have seen this toy, I think my head would have exploded. There were quite a few characters, locations, vehicles in the Sunbow toon that I had wished to see on toy shelves, but this one would probably have topped my list. The MASS Device mini-series still stands out in my mind as my “first impression” of the 80s GI Joe beyond the toys themselves, and having a piece of the show in toy form is a real joy. I’m still amazed that this thing was released. Moreover, I’m amazed that I was able to complete mine. The final pack was an absolute bugger to find in my area, and I just happened to be lucky enough to find one at a Walmart in a less than savory part of town. I guess my search was a bit like the Joes’ and Cobras’ quest for the catalytic elements. The final product, though obviously smaller in scale than its animated counterpart, is nevertheless impressive. Featuring details like the large focusing crystal, control panel, and three catalytic element containers, it’s probably the coolest tribute that the toy line has made toward the Sunbow cartoon. As you can see, I have to track down the location of my catalytic elements. Hopefully I won’t have to brave any radioactive caves or fight giant tube worms to find them. Actually, I think they’re just packed away in a ziplock somewhere, along with my 25th Anniversary figures. I really should have dug them out for the photos. I’m such a lazy toy blogger sometimes. I’m still two pieces and two elements away from completing mine. I never saw the episodes in order. The video store [remember those] in the town i grew up in had it as well as a few others but the episode i hired was “12 hours to doomsday”/”Cobrathon” when i was first introduced to the series. I did wind up seeing it though; eventually. Mass device, Vines of evil and Pyramid of darkness have never been released on DvD down here. Nor has the 87 movie. A couple of years i reweatched Mass device which i hadnt seen for twenty years on youtube and a couple of things got my attention. 3: Destro points the mass device at the Earths core then leaves. Has he got a spaceship handy that will take him to another planet? If not then he’s just doomed himself as well. That scratch-built BET someone displayed at a JoeCon was one of the most impressive customs ever made. By far. I’ve never seen the cartoon but I’ve read plenty about it. I think this is a great toy, and the Weather Dominator. I normally detest the devious marketing concept of packing parts separately so you have to buy a range to complete your collection but in this case it does seem fitting. 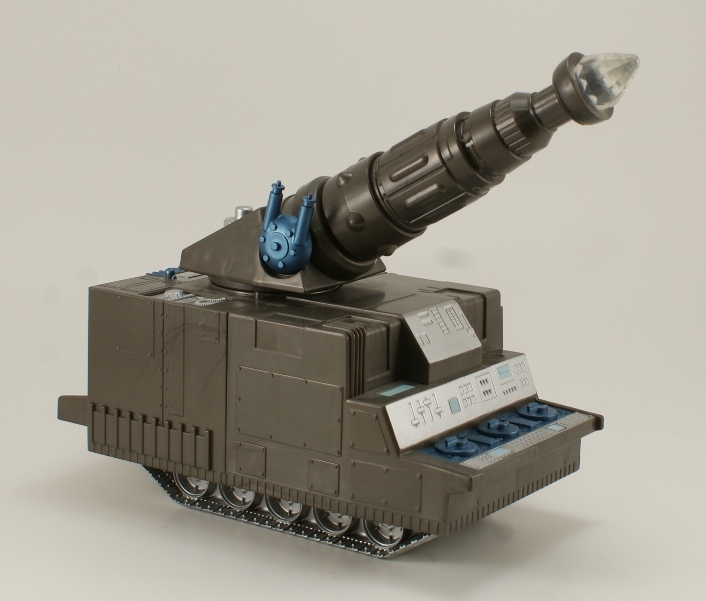 Surprised they didn’t make a Joe MASS Device repaint via the collectors club or Comic Con. I lucked out in finding the final piece for mine with relative ease (I could be remembering that very wrong, however). I have all the pieces save that final one that I was hoping to repaint to make the Joe’s version. Alas, it seems not meant to be. Odd that I was able to get multiples of all of the figures from that last pack into my fodder bin somehow, but never able to get a second needed-last-piece of the bloody M.A.S.S. device. I never completed mine either, I should have made that a priority. It is such a great idea. Looks nice. 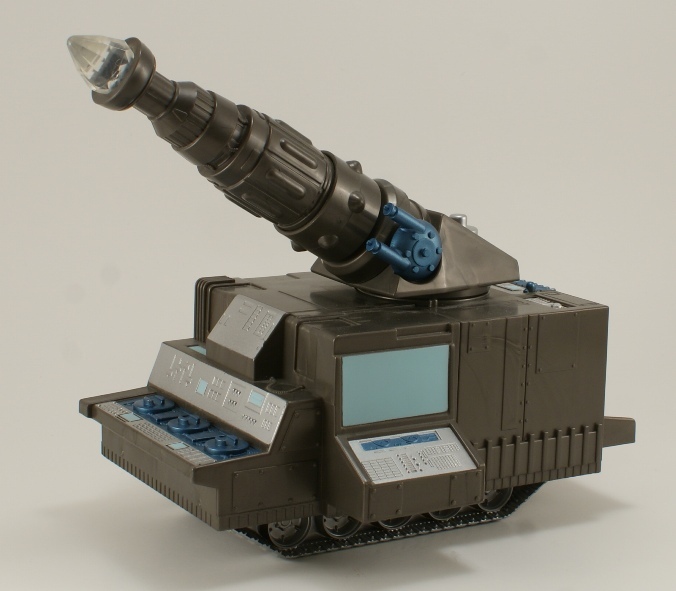 If only Hasbro had released a sturdy plastic Cobra Missile Command Headquarters. I was never really got the Mass Device. Even as a kid, I had no real interest in getting a toy of it. I guess I was too much of a comic book guy. The cartoon was OK, but not memorable like the comic was. But, considering the popularity of this toy and the relative rarity of the final piece, I’m surprised it hasn’t been re-released in some capacity. You would think that would be a slam dunk strong seller. There is a guy on Youtube [Ron “Aalgar Watt] who has been telling the horrible truth about the G1 Transformers cartoon since ’08 and he recently moved onto the G.i.joe series. So far he’s ripped Mass device and Weather dominator apart.